For years, you’ve lived in shame, knowing that you couldn’t achieve your childhood dream of being a Tyrannosaurus Rex. Sure, no one thought you could do it. Sure, everyone called you crazy, but it was your dream! 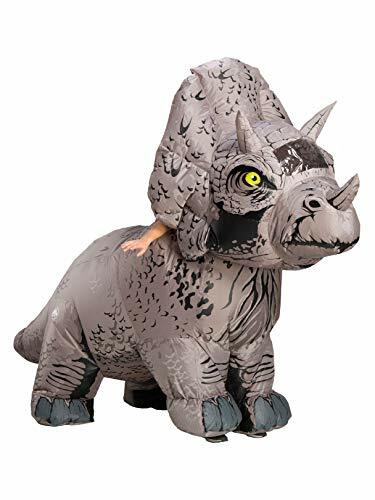 they won’t laugh at you any more with this adult inflatable Jurassic world T-Rex costume. Straight from the blockbuster movie, this costume makes you look like the terrifying beast that escaped from his pen. People will be running in fear! all havoc will break loose! Jeff goldblum will be stricken speechless! you’ll finally be a dinosaur!